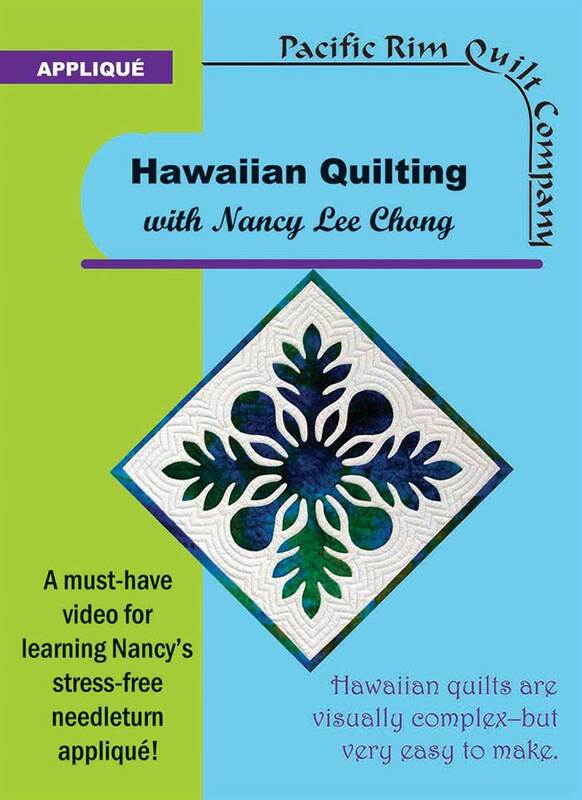 Nancy Lee Chong has been teaching Hawaiian quilting for over 20 years. Now you can learn just how easy it is to make your own Hawaiian quilt from one of the best. With this DVD you will learn Nancy's stress-free approach to needleturn applique and hand quilting while making your Hawaiian quilt. "Nothing is difficult once you know how." In the comfort of your own home, let Nancy show you how. Watch as she walks you through each simple step. Then use these same techniques on all your quilts. Over 2 hours of instruction, plus a Gallery of our Hawaiian quilts. Pattern included: 21" Breadfruit block, pictured on the cover.